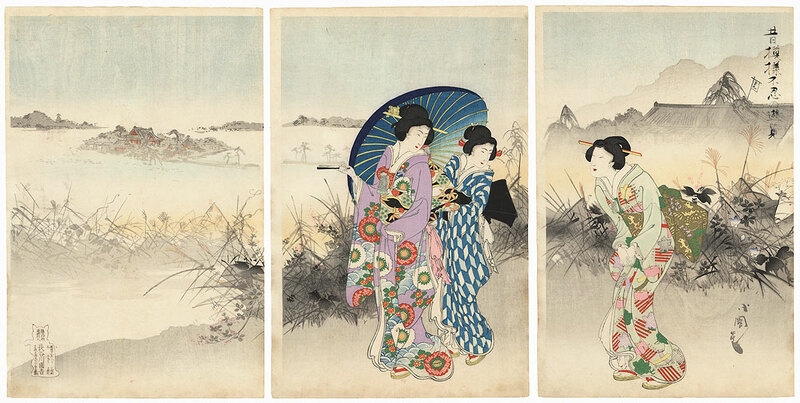 Comments - Lovely triptych of a trio of young woman strolling along the water's edge. 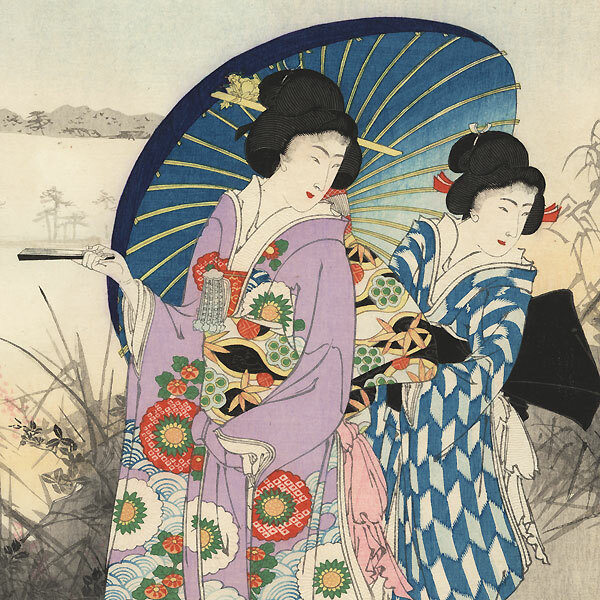 Two stand under a bright blue umbrella while the other follows behind, each dressed in a beautifully patterned kimono with embossed white detail. The softly colored landscape adds a romantic feeling to the image and focuses attention on the colorful dress of the beauties. 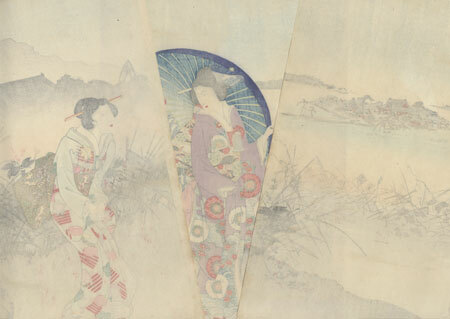 An attractive design, nicely detailed with embossing on the white kimono collars and trim and along the edge of the water at left. Condition - This print with excellent color and detail as shown. Three separate panels. Slight toning and soiling, a few stains. Please see photos for details. Good overall.